Courtesy of Hometown Real Estate. **INVESTMENT OPPORTUNITY** Legal 2 flat in need of rehab in Hot Avondale Area! Convenient location close to Metra, CTA and schools. This is a regular sale and ready to close. Sold in as is condition. NEEDS WORK. CASH OFFERS PLEASE. 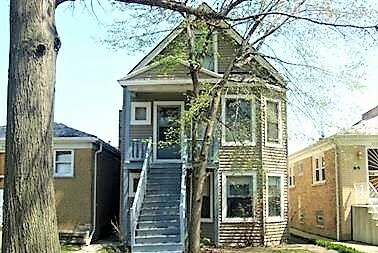 Please, send me more information on this property: MLS# 10160416 – $265,990 – 3339 North Hamlin Avenue, Chicago, IL 60618. I would like to schedule a showing appointment for this property: MLS# 10160416 – $265,990 – 3339 North Hamlin Avenue, Chicago, IL 60618.